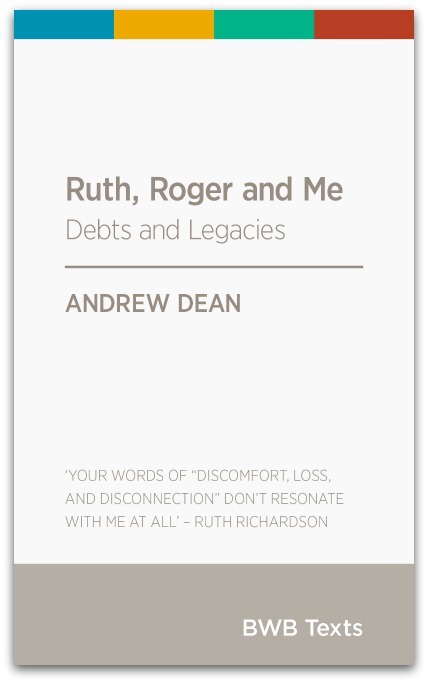 Beattie's Book Blog - unofficial homepage of the New Zealand book community: Andrew Dean, twenty-six, the author of "Ruth, Roger and Me", an exciting new talent. Andrew Dean, twenty-six, the author of "Ruth, Roger and Me", an exciting new talent. Young New Zealand voices writing at length on contemporary issues, with eloquence and intellectual facility, are rare. Andrew Dean, twenty-six, the author of Ruth, Roger and Me, is an exciting new talent. With this addition to the BWB Texts series, Dean, a Rhodes Scholar from Canterbury, studying for a doctorate in literature at Oxford University, has taken time out to write a compelling conversation starter on the question of what it means to be young in New Zealand today. It is a New Zealand in which housing affordability, inequality, unemployment, and indebtedness cast lengthening shadows.